Remember when the Ducati 1199 Panigale hit the shores of Japan, and the Bologna Bullet got an ugly mid-pipe and exhaust can welded into place, whiled the underslung exhaust cans welded shut? It was such an affront to the senses of some of our loyal Ducatisti readers, our comments section was flooded with the word “hoax” and the cry to burn it with fire. Unlike Santa Claus, the Japanese-spec Ducati 1199 Panigale is very real Virginia, and it features other changes beyond its monstrous exhaust to help quiet the beast that resides within its fairings. Ducati is not alone in the list of brands that have seen the gorgeous lines of their machines ruined by the strict noise and emission standards of Nippon. 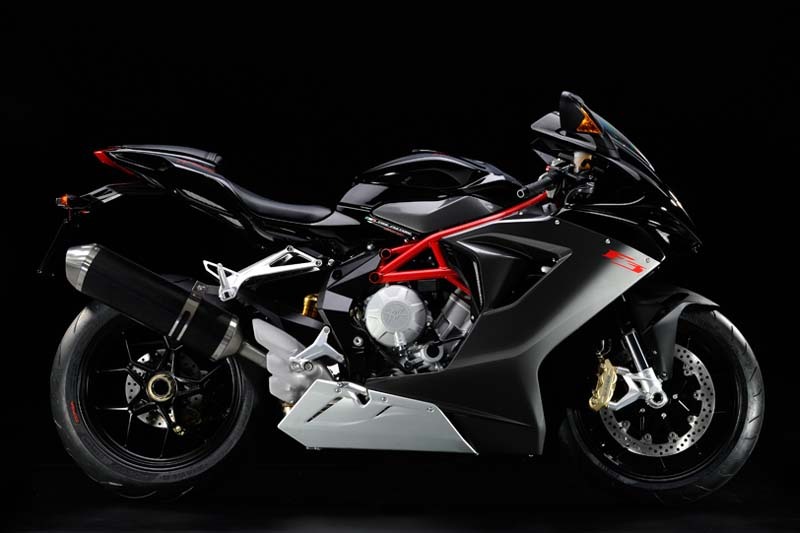 Committing yet another crime against motorcycling, we have for your viewing terror official photos of the Japanese edition of the MV Agusta F3 675 — yes, the exhaust can of doom makes a return appearance. There is no mention of other changes to the MV Agusta F3 on the company’s Japanese website, so presumably the addition of the longer exhaust and substantial exhaust pipe was sufficient enough to get the supersport machine deemed road-legal in Japan. Thanks for the tip Trane!